Samsung is about to change the way you take photos, as it is looking to develop smart contact lens that does much more than just serving as a fancy replacement for glasses. 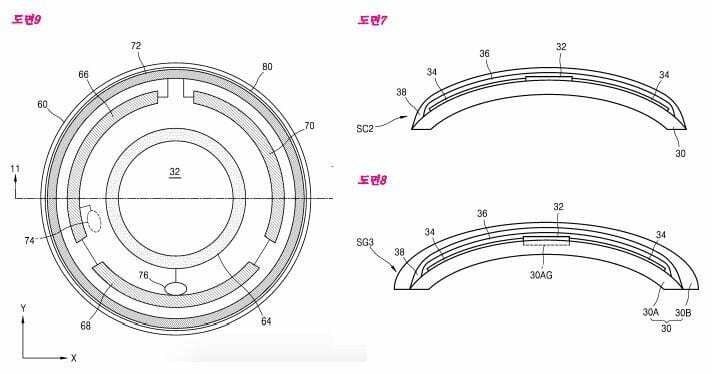 According to the Samsung-focused blog SamMobile, Samsung has been reportedly granted a patent in South Korea for contact lenses, which will offer a display that can projects images into a wearer’s eyes and will also include a built-in camera and sensors that are controlled by blinking. Embedded antennas in the lenses then beam the images to an external smartphone-like gadget for processing. While the display projects images directly into the wearer’s eyes, an external device like a smartphone is needed for processing the content. The “smart” contact lenses could prove to be a substantial upgrade from so-called “smart glasses”, posing a threat to what will be its main competitor in the market, Google Glass. According to SamMobile’s report, Samsung started developing smart contact lenses as a means to create a better augmented reality experience than the ones that exist through Google Glass-like wearables. It would basically mean having Google Glass-like functionality fitted right into the lens without the need of wearing additional gear. Smart contact lenses would allow AR projection right into the wearer’s eyes and stay completely invisible at the same time. Samsung’s not the only one interested in making smart contact lenses a reality. Google has already entered into the scope of smart lenses. In fact, we somewhat saw similar features of taking pictures in Google Glass by just a wink. 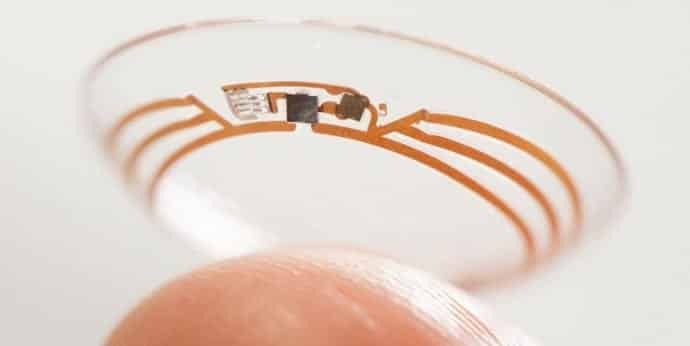 Google owns two patents for smart contact lenses with flexible electronics and sensors that examine a chemical in the tear fluid of the wearer’s eyes to determine if their blood sugar levels have fallen to fatal levels. Interestingly enough, Samsung applied for its smart contacts patent in 2014, the same year Google received patents in the U.S. for its smart contacts. So far, only Google was known to be working on smart contact lenses. While the technology is intended for use in different fields, being granted a patent doesn’t necessarily mean that it would surely convert into a consumer-ready product. Companies frequently file patents for many research inventions, which may or may not ultimately formalise into a real product.